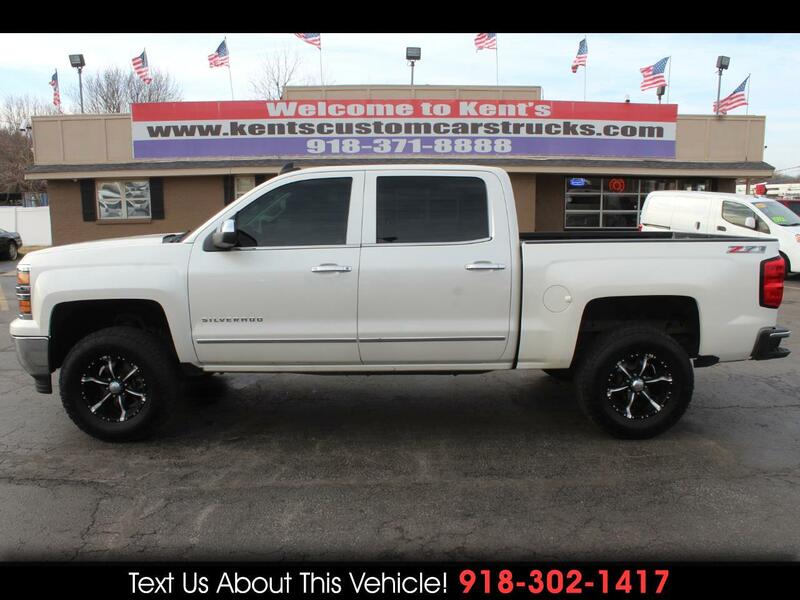 2015 Chevrolet Silverado 1500 4x4 LTZ Z71 4dr Crew Cab 5.8 ft. Short Bed, EcoTec3 5.3L V8 Gasoline Engine, 6-Speed Shiftable Automatic Transmission, Leather Seats, Heated Front Seats, CHEVROLET MYLINK 8 DIAGONAL COLOR TOUCH RADIO - Includes AM/FM/SiriusXM4 (standard for 3 months)/HD, USB ports,2 SD card slot, auxiliary jack, Bluetooth streaming audio for music and select phones, handsfree smartphone integration, available Pandora internet radio and voice-activated technology for radio and phone. Rear View Camera, Remote Keyless Entry, Remote Start, Power Sliding Rear Window, AC, Cruise Control, Child Seat Anchors, Power Door Locks and Windows, Power/Heated Exterior Mirrors, Tilt Steering Wheel, Tinted Windows, Power Steering, Power 4-Wheel Disc Anti-Lock Brakes, Floor Mats Front and Back, Z71 Equipment includes Monotube Rancho Brand Shocks, Hill Descent Control and underbody Transfer Case Shield, 3.42 Axle Ratio, Nitto 285/70R17 Tires, 17 inch Alloy Wheels. For more information give us a Call at 918-371-8888 or send us a Text Message at 918-302-1417.